I'm someone who has always learnt through experiences - and also someone who learnt best through stories and illustrations. If I was going to remember a math equation, I needed some visualisation or story to remember it. That's why I love how Jesus taught. Jesus was incredible at using simple, everyday objects or stories to share spiritual truths. He taught through parables; the farmer scattering seed, the vine sustaining the branches - and in John 10, we are told yet another parable about the shepherd and his sheep. If you ask me, this parable is one of the most incredible visualisations of our salvation and security in Christ found in the Bible. 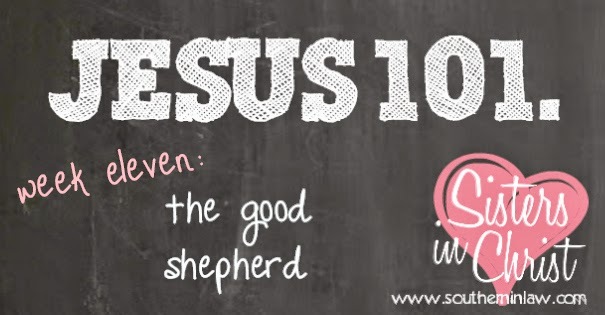 In this parable, Jesus explains that "I am the gate for the sheep" (John 10:7) - we, God's people, are the sheep - entering a safe place (the sheep pen) which represents our salvation. The sheep enter safety through the gate. We enter Salvation through Jesus. God gave us a good shepherd. Jesus explains; "the sheep follow the shepherd because they know his voice. But they will never follow a stranger; in fact, they will run away from him because they do not recognise a stranger's voice" (John 10:4-5). God's people hear the voice of Jesus and they recognise it - whilst they steer clear from other voices. Why? Because Jesus has the voice of salvation. Jesus has the message of grace from the God who loves us - the other voices don't have this. Jesus says that we need a radical change - and that regardless of how hard we work, it will our efforts will never be effective. He tells us that we cannot save ourselves, however, He can save us because God himself came into our world, suffered the pain of our corruption, lived the perfect live in our place - and paid the ultimate penalty. It's not about being a do-gooder - because Jesus has done all the work for us. He's stamped our dues paid and is just waiting for us to follow Him. He's waiting with arms wide open, waiting for us to take those steps to salvation. We have the key to salvation. Jesus says, "come into my sheep pen, where the burden is light and there is no condemnation" (see here in Matthew 11:30 and Romans 8:1). But whilst Jesus offers us safety and salvation - there are always those who will try to steal it away from us. There is only one way to salvation. Others may try and get to the sheep pen in other ways than Christ - but they will fail. They may mean well, but their ways fall far short of what Jesus offers: a full and unconditional pardon for our sins. Jesus tells us - "I am the good shepherd"
All of those other voices will fall away and let us down - it is only Jesus who laid down His life for us on the cross. Only Jesus died and rose for us so that we could have salvation.